Don’t let the above picture fool you. 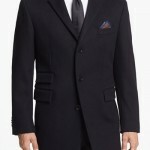 This wool, single breasted top coat by Armani is actually very eye-catching when worn by a man with a personality. It features a felt undercollar, inside pocket, and a strip of PU trim on the shoulders for a touch of durability and class. Get it here. We may not know jack about topcoats, but Jack knows more than your average bloke, which is why we like this topcoat from Mr. Spade. 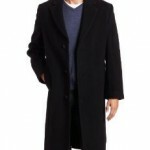 It is 100% wool, and features a notched lapel and button placket. Get it here. If your looking for something a little different than the ‘classic’ mens coat, this Lloyd Wool Twill Top Coat is a staff favorite. 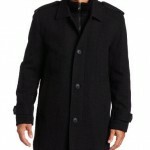 It features a subtle herringbone pattern that gives a stylish look to an otherwise casual cut. Get it here.